In this unique work, Rabbi Joshua Gerstein delves into the books of Beresheet and Shemot with one goal in mind: to demonstrate that the Torah is a living and breathing guide with extraordinary relevance and insight for contemporary Jewish life. The imperative of Ahavat Yisrael, the centrality of the Land of Israel, the beauty of Jewish living, and the importance of Halacha and Torah study, are among the main themes outlined in this work. Using a wide array of sources from Rishonim, Achronim, and contemporary Rabbinic scholarship, he weaves together an elaborate tapestry which is sure to leave readers with a new found appreciation and understanding for the timeless text of the Torah. "Ahavat Yisrael and love of the Land of Israel glow throughout the entire book, and I have no doubt that it will be warmly and lovingly accepted by those who are thirsty for the word of Hashem." "All told, this is a broad collection of first-class scholarship, presented in short, clearly written essays, radiating with a profound love of Torah, the Jewish people, and the Land of Israel." "Rabbi Joshua Gerstein's insights into the weekly Parsha manage, seemingly and effortlessly, to weave the explanations of varied commentators from different periods and places into a unified tapestry elucidating the ideas he wishes to convey to the reader. A wonderful addition to the Shabbat table." ​"In A People, A Country, A Heritage, Rabbi Joshua Gerstein, as so many before him, has shown the inexhaustible interpretational possibilities that the Torah offers us. Again we hear a fresh voice rising from the old but ever-new text, enriching us with original insights and once more proving that we will never be able to fully understand the Divine text and will always remain perpetual novices who are just trying to hear some of the vibrations once heard at Sinai. Rabbi Gerstein has given us a new hearing, one of crucial importance. For this he is to be congratulated." Rabbi Joshua Gerstein originally from Lancaster, Pennsylvania made aliyah to Israel in 2007. He received his semichah from Rabbi Shlomo Kassin of the Midrash Sephardi of Jerusalem, as well as from Rabbi Aharon Ziegler of Kollel Agudat Achim. 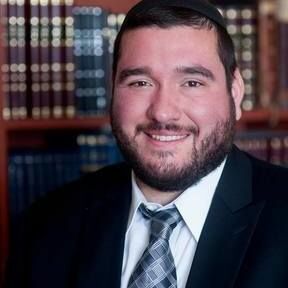 Rabbi Gerstein holds a bachelor’s degree in psychology from Touro College and a master’s degree in Jewish education from the Hebrew University of Jerusalem. Since moving to Israel he served as the assistant Rabbi of Beit Knesset Chazon Yechezkel- the Young Israel of the Old City, and has taught Gemara and Jewish Thought in yeshivot and gap year programs for North American youth. In addition, he served as a non-commissioned officer in the I.D.F. Rabbinate, where he was responsible for religious services and Jewish identity programing. He now holds the rank of Lieutenant in the I.D.F. reserves where he serves as a battalion Rabbi.